A tex-mex salad made with chopped romaine and cabbage, black beans, cherry tomatoes, corn, avocado, and fajita style chicken then topped with queso fresco and tortilla strips. 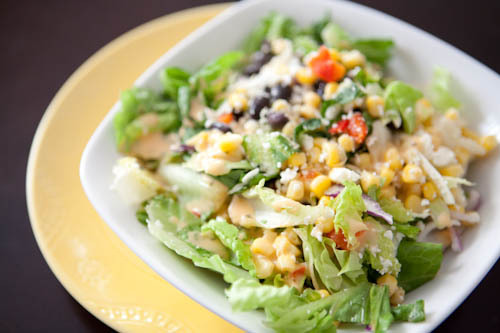 Served with an incredibly creamy chipotle ranch cilantro dressing on the side. This will knock your kid’s socks off! Freshly chopped romaine lettuce, shredded chicken, shredded cheddar cheese, chopped tomatoes, and crumbled turkey bacon tossed in a homemade cobb dressing and then topped with 1/2 hard boiled egg. 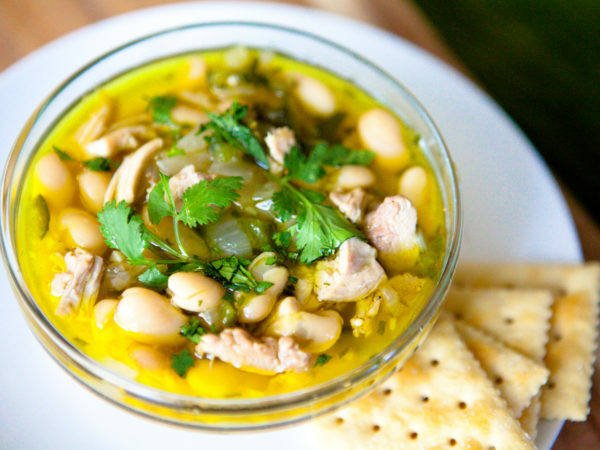 Fresh ground turkey and cannelini beans cooked and seasoned with onion, garlic, oregano, and Anaheim chili peppers, then simmered in chicken broth. Served with a side of low fat sour cream, fresh cilantro, and whole wheat crackers. 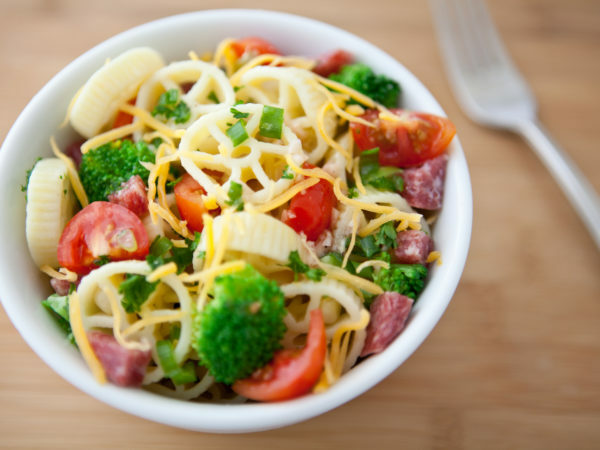 Wagon wheel pasta, broccoli florets, cherry tomatoes, corn, and turkey cold tossed in light olive oil and garlic vinegar dressing. Topped with shredded cheddar cheese. 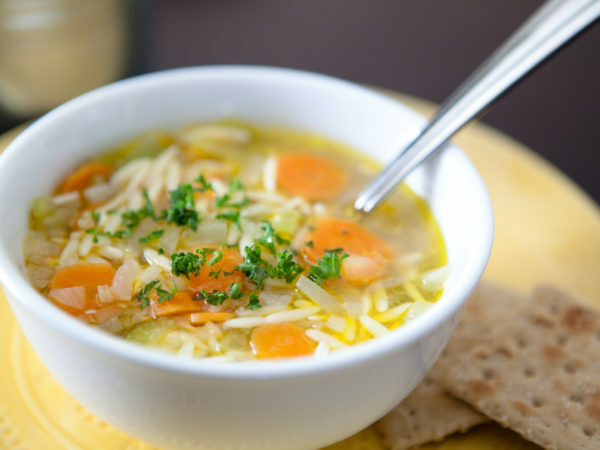 Whole grain orzo pasta simmered in a flavorful blend of chicken broth, organic carrots and celery, onion, and garlic. Served with whole wheat crackers. 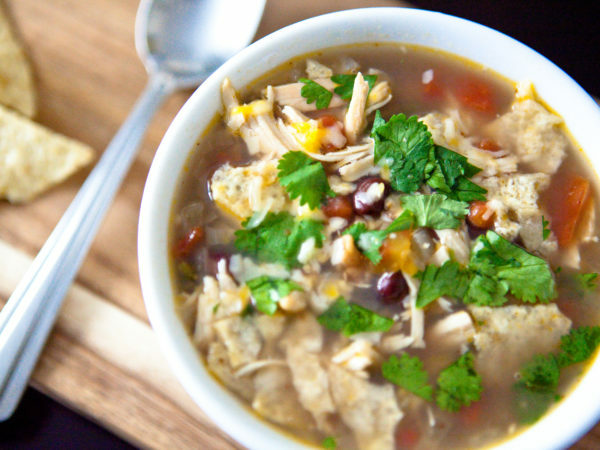 Fresh all-natural chicken, tomatoes, green chiles, black beans, onions, garlic, and chili powder slow-cooked in a flavorful broth. Packed with freshly chopped cilantro, shredded jack cheese, and corn tortilla chips for sprinkling. Gluten-Free. 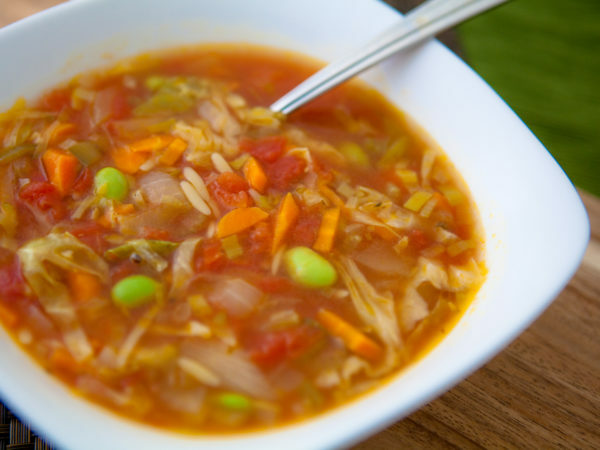 Tomatoes, carrots, celery, leek, onions, edamame, and orzo pasta simmered in a flavorful vegetable broth. 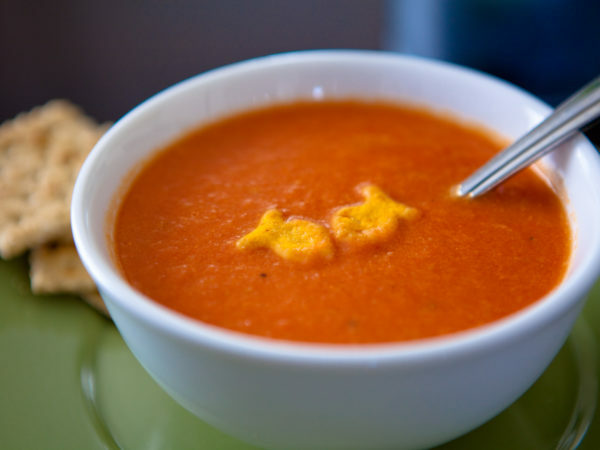 Packed with grated parmesan for sprinkling and served with whole wheat crackers. 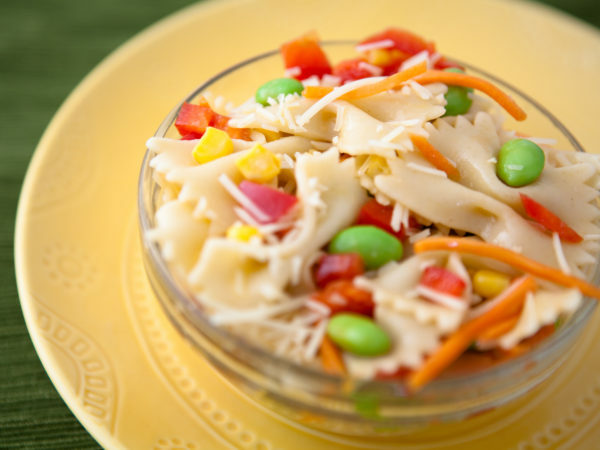 Whole grain bow tie pasta, red bell pepper, carrots, corn, and edamame tossed in olive oil and lightly seasoned with grated parmesan and salt. Rich in vitamins A and C. Contains at least 15 grams of protein per serving. 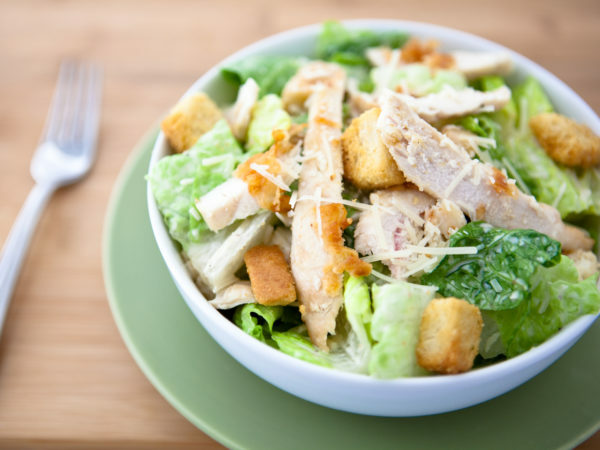 Fresh romaine lettuce and shredded chicken tossed in a homemade caesar dressing. Served with a side of parmesan for sprinkling. 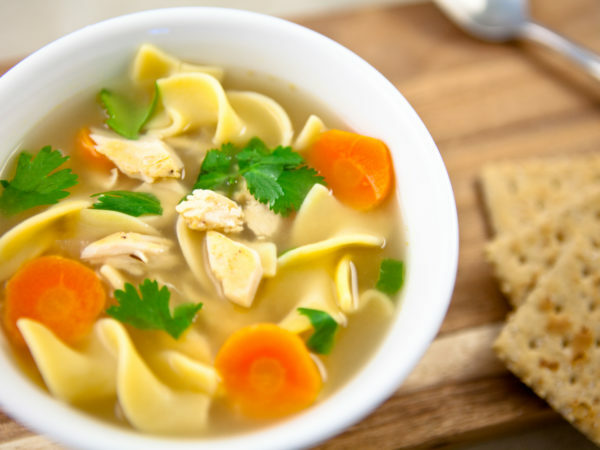 Egg noodles simmered in chicken broth, organic carrots and celery, onion, and thyme. Served with whole wheat crackers. Rich in vitamin A and protein. Chopped tomatoes and celery in a creamy blend of chicken broth and heavy cream. Served with whole wheat crackers. Low in fat and virtually no cholesterol, contains almost 50% recommended daily value of vitamin C per serving. 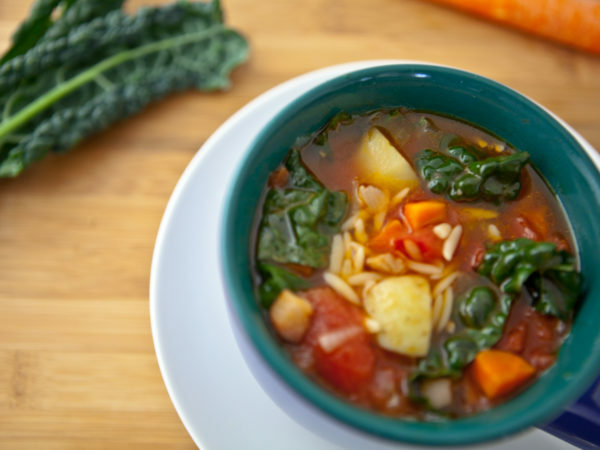 A flavorful medley of carrots, celery, tomatoes, onions, potatoes, kale, and orzo pasta simmered in a rich chicken broth. Packed with freshly chopped basil and grated parmesan for sprinkling. 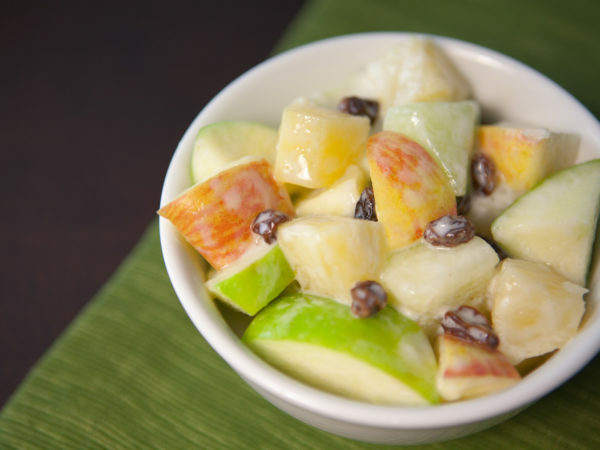 Rich in vitamins A, B1, and C.
Wonderfully refreshing mix of fresh cut apples, honeydew, pineapple, and dried cranberries blended together with nonfat Greek yogurt and coconut milk. 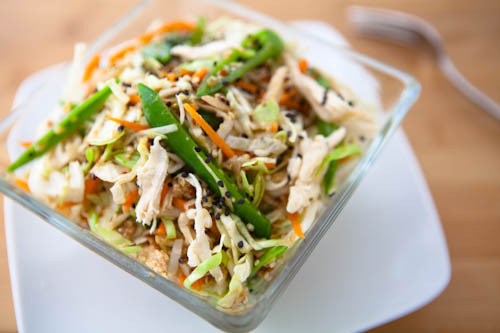 Roasted all-natural chicken on a fresh mix of shredded cabbage, organic carrots, organic sugar snap peas, and high protein quinoa, then tossed with homemade light asian dressing and black sesame seeds. 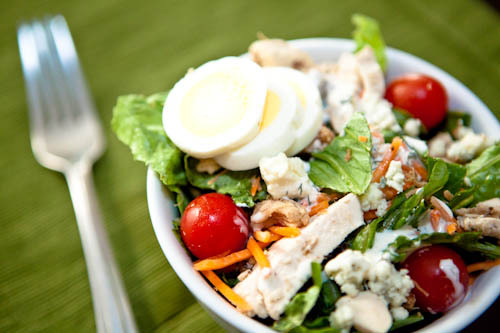 Have a salad and get 100% recommended daily value of vitamin A! Gluten free. 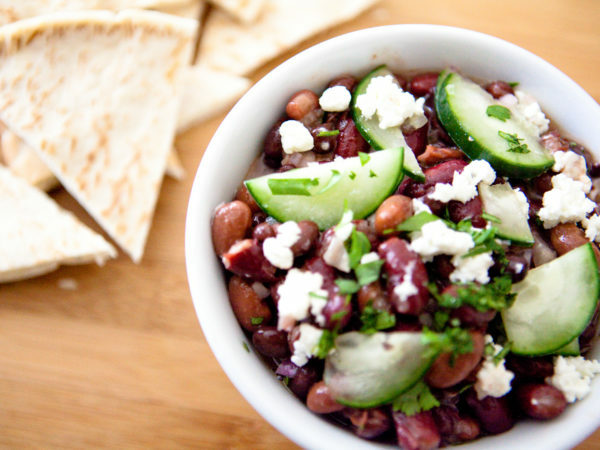 Hearty kidney beans and fresh cucumber slices tossed with a refreshing dressing of olive oil, lemon juice, and shallots, then topped with feta cheese crumbles and parsely. Packed with multi-grain pita triangles. Contains at least 15 grams of both protein and fiber per serving. 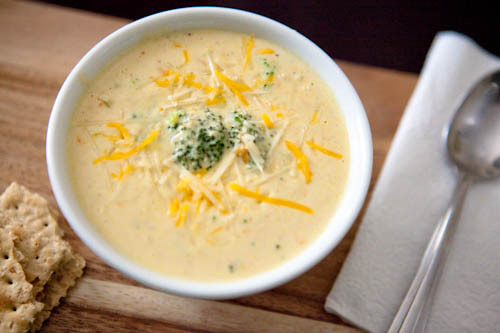 Tender broccoli florets and organic carrots simmered in a creamy mix of chicken broth and low fat monterey jack, cheddar, and parmesan cheeses. Served with whole wheat crackers. Delicious comfort food containing over 50% recommended daily values of vitamins A, C, and calcium per serving. 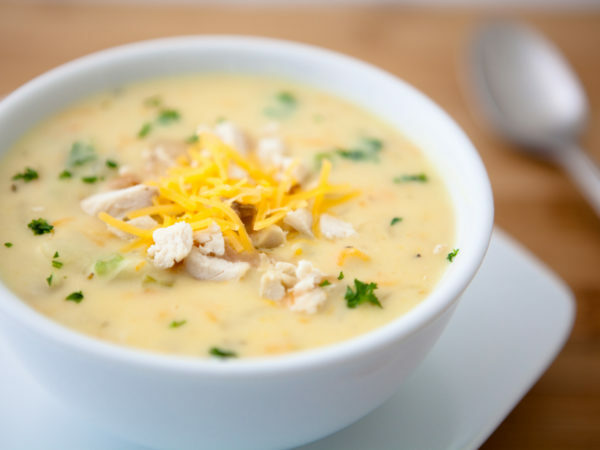 Diced chicken and potatoes simmered in a creamy blend of chicken broth, organic carrots and celery, and low fat cheddar cheese. Served with whole wheat crackers. One of the best comfort foods, ever! Rich in protein, calcium, and vitamin A.